I just got home from a vacation in the lush forests, mountains and endless beaches of Oregon. It was quite easy to see God every time you turned around in the extraordinary views and incredible landscapes. I was literally tripping over his grandeur all day long. Vacation ended yesterday. 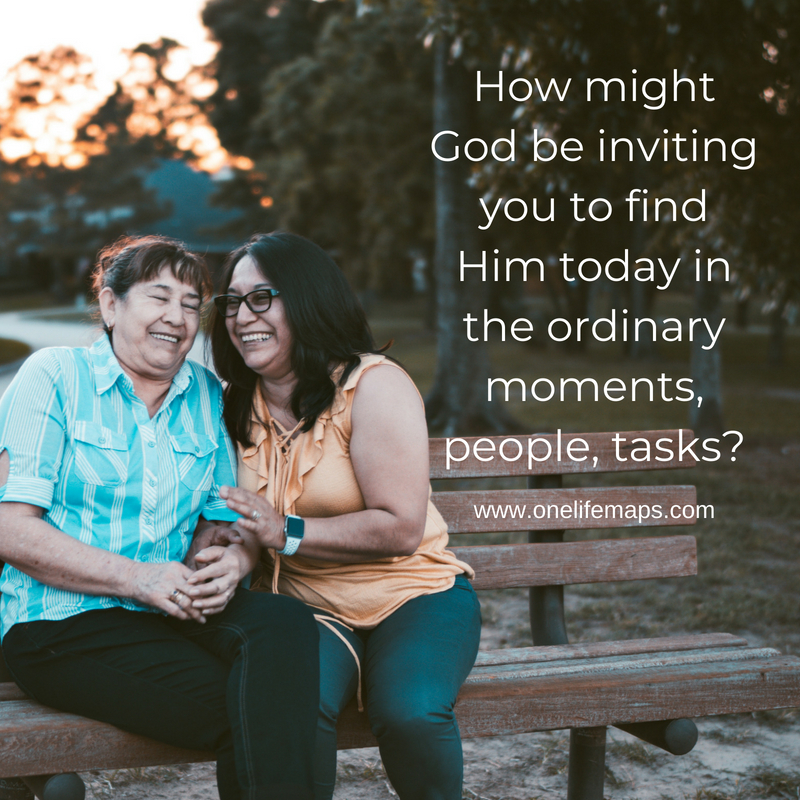 It was a bit more difficult this morning among the piles of email, laundry and an empty refrigerator to see God in the ordinary routine places. I had to relearn how to find Him in the post office line, along my normal walking path and in the conversations with my family. I learned the discovery was part of my growth this day. Somehow the hunt, the seeking and the exploring of what God had put right in front of me made the ordinary treasures I found today even more precious. How might God be inviting you to find Him today in the ordinary moments, people, tasks? What are you learning about God and his character in the ordinary? How is it different from the extraordinary places we see God in more obvious ways?